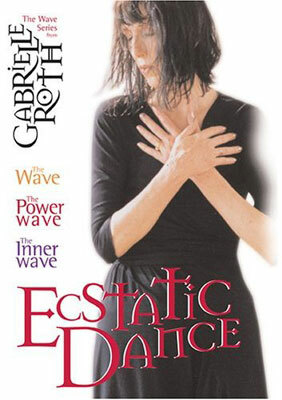 The Wave - The original classic on video introduces Gabrielle Roth's revolutionary system of moving meditation. Teaches how five core rhythms can teach, catalyze, and heal our entire being. The Inner Wave - A meditative trance dance journey to the stillpoint within. For calming the mind and body, and creating peace in our lives. The Power Wave - Super high-velocity dance workout puts the psyche in motion and helps trigger spontaneous states of creative, intuitive power. Over 35 years ago, a young teacher at the Esalen Institute began experimenting with an ancient body-based spiritual practice all but forgotten in our time: ecstatic dance. Today that teacher, Gabrielle Roth, is acclaimed worldwide for her pioneering work with The Wave, a sequence of improvised movements to five rhythm patterns that the New York Post has called a "map for the entire creative process."